GEFONT Group Saudi Arabia second Convention has been concluded. The Convention has elected 17 members new Committee under the Presidency of Buddiman Bishokarma unanimously. 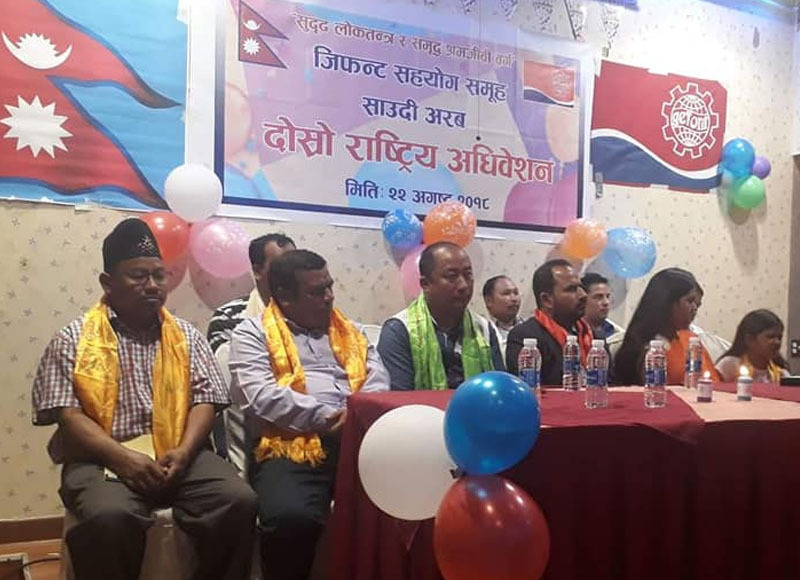 Similarly Jeet Kumar Rai has been elected as Sr. Vice President, Jib Raj Belbase as Vice President, Damber Nepali as General Secretary, Rosan Thamang as Secretary and Ramesh Budamagar as Finance Secretary. The Embassy of Nepal, first Secretary of Saudi Arabia, Bijaya Kumar Raut was the chief guest of the Program. According to GEFONT Saudi Arabia Coordinator Raj Tamang, The Convention has elected Senior Advisor Buddha Narayan Choudhary and Advisor Rabindra Shah. Likewise immediate past president Samser Bahadur Tamang has been elected as Patron.